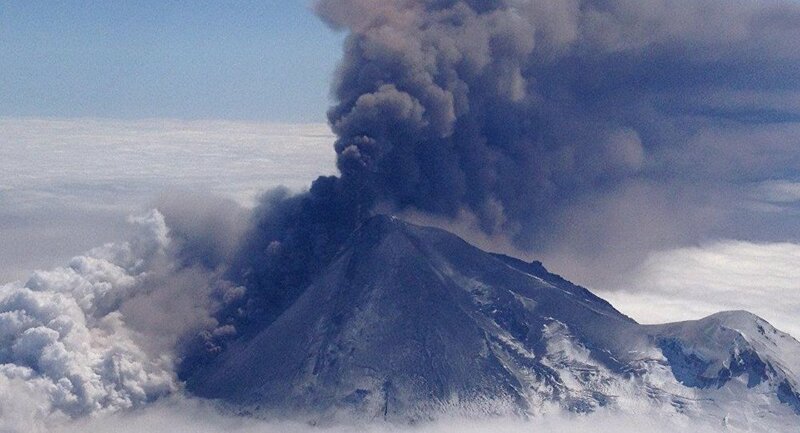 An Alaska volcano that's been active since mid-December has erupted again with an ash cloud that could threaten airliners. The Alaska Volcano Observatory says Bogoslof (BOH-gohs-lawf) Volcano in the Aleutian Islands started erupting at 10:36 p.m. Tuesday and sent up an ash cloud to 35,000 feet. The eruption was marked by seismic activity and lightning that subsided about 1:30 a.m. Wednesday. Ash can harm and stop jet engines. Ash from southwest Alaska volcanos is a threat to airliners operating between North America and Asia when a cloud rises above 20,000 feet.